I have been the Ox’s harshest credit – regular BKers are fully aware of this. Like you, I was excited when Alex was bought from the Saints at a very young age. A player who can dribble at speed and put a ball in the box after beating one or more defenders, is one of the most excited things to see on the pitch. And initially it looked like we signed a great, great prospect, epitomised by that superb performance against AC Milan at the home of football, now many years ago. But the Ox did not push on. After 100 PL games for the mighty Arsenal, which he reached at the end of the 2015-2016 season, he had just a few goals (8) and assists to his name. It looked like he was not making the necessary progress to become a regular at Arsenal. I felt he should go out on loan, and build his confidence and improve his skills at a club with less pressure. But Wenger stuck with him and he has repaid the manager with a very strong second half in the last season. In 1563 PL minutes, Alex has scored two PL goals, which, to be frank, is still not good enough. But what is impressive is that he produced seven assists during the same PL minutes on the pitch, and that is his big improvement this season. This places him in the same bracket as Coutinho, Dele Alli, Da Silva, Lalana and Barkley last season, who all were on the pitch a lot more minutes than AOC. He has put in some superb crosses and produced 1.1 key passes on average in the PL last season. What also impressed me was his willingness to play in various positions on the pitch, and he worked very hard to make them a success each and every time. 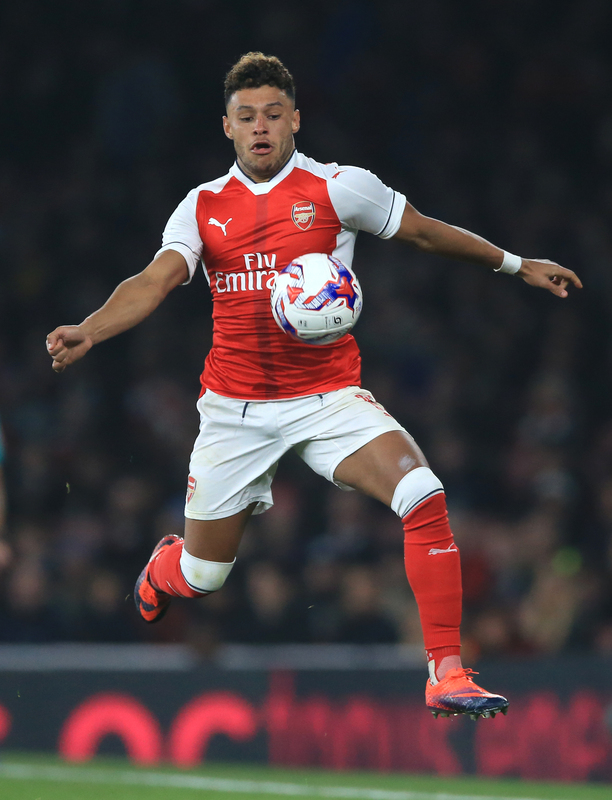 This season the Ox has gradually become better and better and is now very close to regular first team selection. His final ball has improved a lot and he is now so much more focussed throughout the duration of the game. I did not believe he could do this at Arsenal without going out on loan and prove himself somewhere else first. He proved me wrong and I am now apologising for ever doubting him. Well said T A I could write a similar pice on Zhaka, who came on in leaps and bounds towards the end of the season. I don’t like all the nasty abuse being hurled at Wenger, but am a great believer that fans should be allowed a voice. One of the big problems at our beloved team has been the wall of silence (for whatever reason). Its unfair to the team and the fan base. If nothing else you do get the impression that all the negative press has finally been acknowledged by the board. Hopefully we will see a much more active and positive summer than we have seen for years. Although I like everyone else want to see big names coming in, I really hope they keep faith with Rob Holding. It’s the first time for ages that we have had a young confident defender of his ilk…a captain in the making. The way he handled Arnoutovic and Costa was legendary and inspirational to the fan base. Agreed that fans should be allowed to voice their lack of confidence in the manager or the club but there is a place and a time for it. I really believe that it cost the team a top four spot this time round, which is just sad. Will see what I can come up with. My Spud loving friend watched the cup final with me while a BBQ ensued around us. He had put £10 on Arsenal to win 1 – 0 with Alexis to score the first goal. We had some funny negotians where I said if we got a second I would happily have paid £140 to him as compensation. You may be partially right about losing points over the bad feelings etc, but I think the board were at the very least equally at fault because the way they treated the fans with a wall of silence. Which in turn created bad feeling. Maybe the answer lies somewhere in the middle. Anyway time to move on….. Saw an interesting article from Ray Parlours book the other day about the signing of Igor Stepanovs the Latvian centre back of dubious ability. 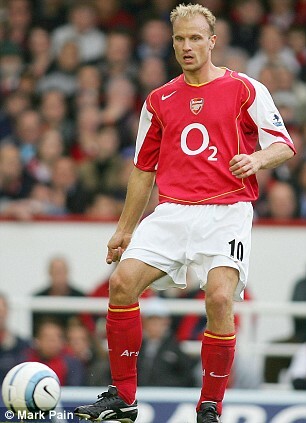 Apparently Martin Keown,was worried about a new recruit taking his place. Ray Parlour , Sir Dennis and a few others decided to wind Keown up by applauding everything that Stepanovs did when he came to Highbury for a trial. Apparently his passes were going to the wrong players, but whatever he did they cheered and said how good he was. A week later Stepanovs was given a four year contract, much to eveyones surprise. Sounded a bit far fetched to me, but apparently it’s in Bergkamp book as well. “…and next season could see him become a pivotal player for winning the shiniest silverware. Let it be so.”. And I say a big Amen! to that. FairPlay to you, TA as I recall the many times we had to compare notes on the Ox’s performances in games, when he starred in midfield; or, is suitability over Bellerin at wing back. The Ox probably knew he was close to being shifted on because, it was sometimes inexplicable for me that he couldn’t wrest a place in a team where Theo was a starter. Don’t get me wrong, I rate Theo for his passion and goals scoring instincts, but he isn’t the most gifted in tight spaces and is likely to make the odd error here and there. But, therein lay the problem for the Ox. It meant he lacked the awareness and focus Theo can muster in big games. He appeared to have overcome that towards the end of the next half of the season. If she’s the source of his improved form, fingers crossed they get hitched soon. haha at least he put his money on the Arsenal, which would have taken some swallowing! The BoD lack a good, natural communicator, Retsub, so yes agreed. Yeah Eris, Theo is a totally different story (almost wrote a post about him today). A very hard to understand player who is quickly moving towards the latter end of his career. Retsub1, read that story too in excerpts of both books. Funny one, if unlikely, as the sole reason Arsenal signed on Stephanov. Just shows what mischief these players can get up to, knowing the weak spots of their mates. Palour is a character. I share the view that the fans’ unrest was a huge part of why we fell out of top 4; the support (12th man) is very crucial in sports and can bring out the best in players, especially when they are running on fumes. Some fans created an unfriendly atmosphere at our own ground and caused the players to play with too much caution, pretty much ‘walking on egg shells’ at their own home, when they should play expansively. However, I equally agree that the Board could have done more to calm frayed nerves by being a bit more communicative. Maybe, there was a feeling that the anti-Wenger sentiment was too strong to risk showing any weakness (too much interface may have the fans believing they can hold the club to ransoms and some commitments), which can’t be helpful. What we need to always bear in mind is that Arsenal is still a business with an owner who can’t want much less than the fans want. We should trust that the club would have gone into great discussions as to whether Arsene can continue and what alternatives there are, at the moment. There is something about stability that is infectious, especially if goals are being met or not too greatly deviated from. Kroenke won’t want to run his business on the sentiments of fans. That is a dangerous thing to do because, some fans may just be working on an agenda, fuelled by media/pundit narratives. I didn’t want to get into this supporters bit, it’s been talked to death and I am a great believer in free speech. Etc. However the power of social media, pundits, press etc does in the end affect people in different ways. We all have different opinions, but the lack of anything from the Emirates I led me to believe that Wenger had become to powerful, to such an extent that he was almost deciding himself if he should get a new contract etc. If that is the case and I stress in my opinion it is at least partially true. in which case it is a potentially unhealthy environment. Well, 17ht, re Kroenke’s motive; I can’t speak for him about just how much it is about the bottom line for him, but like I stated earlier, it is a business, first and foremost and must be run as such. But to suggest he somehow, does not understand that on-pitch success will equate to more money may not be correct. He’s been with the club for a while now and has shown he is in it for the long haul, or he will jump at Usmanov’s “double your money” offer, no? It is noteworthy that neither he nor any director has collected dividends, while the club’s investment in players has continued to rise, under his watch (over £167m spent since 2013). His company also waived its entitlement to any fee for strategic and advisory services, worth £3 million the previous year. He recently stated that he wants to win the EPL and CL with Arsenal; maybe Kroenke is now willing to invest his own funds directly, for player purchases which should improve trophy haul and the attendant (no guarantees) deluge of sponsorship and other money from merchandise sales. Looks to me he may be prepared to show he loves winning things too. Not the Arsenal philosophy, but maybe, just maybe, he starts to bank roll player purchases, starting with that huge bid for Mbappe. HT, your observation of Ox’s psychological make up is spot on. It swings very wildly between when the ball comes to him and when it leaves him. As he is getting the ball he is full of self belief and so determine to dazzling. Invariably he bites off more than he can chew and collapses into the self critical mode when his expectation of himself is not met. Watch how he beams whenever he is able to meet those expectations. To me, he should understand that the little things like a simple pass are also great things. In the course of 90 minutes a right moment or two must appear to dazzle. He should learn not to be trying too hard all the time. A pass and a run off the ball for a return pass is less dramatic but much more effective than a straight foot race. I believe he needs a lot more central midfield action to mature his playing attitude. He needs to learn to see himself as just another cog in the wheel of the team. His ball ability is top drawer. I see him more as a unique potential. Lovely post TA. Don’t be too hard on yourself though. I think Ox’s impressive performances this season has had a lot to do with him being deployed as a CDM or as a RWB in the 3-4-2-1 setup. His deployment in those positions have allowed him to regularly showcase his impressive dribbling, crossing and long range passing ability. His previous deployment often on the RW or LW in the 4-2-3-1 system required him to make off the ball runs behind the oppositions’s defensive line and be accurate in his shooting, both of which aren’t his strong points. Hence his poor performances. While I still think Arsenal need to bring in some new faces in central midfield (hoping for Gonalons and Illarramendi or Llorente) and move on a couple of existing options (Elneny and Wilshere 😞), I’d love to see Ox get a full season next season in one of the two CDM roles alongside either one of those new players or Xhaka in the 3-4-2-1 setup. Based on what I’ve seen so far of the Ox, I think he has the transitional passing and dribbling skills to be highly effective in that role. The big unanswered questions for me is whether his tackling and interceptions skills are good enough and his is willing to apply himself defensively? The only way to find the answers to those questions though is for Wenger to play him there. If he can deliver defensively, Arsenal have one hell of a player on their hands as central midfielders who can regular tackle, intercept and dribble the ball up the field are rare as hens teeth. In the top five leagues in Europe only Dembele of Spurs has proven over a number of seasons that he has that skill set. Even Kante relies more on his accurate long range passing than his forward dribbles to transition the ball forward. I’ve got high hopes for Ox. Wenger just needs to continue to deploy him in positions which accentuate his strengths and hide his weaknesses. I can’t get convinced that Kroenke is not interested in the sporting side of the club’s fortune, because it must be clear to him that it is intimately connected to the business fortunes of the club. Possibly the British fans don’t recognize fully how globalization has made the Prenier league very unique. And when we talk globalization of the PL we are essentially talking of 6 teams in this order of importance: Man U, Chls, Ars, Liv, Man C and Tot. This global terrain at the beggining of the PL was virtually a virgin territory that was open to be conquered by teams that were excelling in performance. Good performance was the major way teams were selling themselves.There were no traditional fans, no regional or local fan bases. Everything was up for grabs. And this same opportunity remains virtually the same today. Why is Man U the commercial giant that it is, Because Man U has more than 350 million fans globally, about 300% more than 3rd placed Ars. Global fan base is the major driver of the the commercials of the teams. In the States the fan bases of sporting franchise have become, relatively speaking, stabilized (HT, please correct me if am too off the mark). Which means that the sporting fortunes there would not have AS MUCH INFLUENCE to the growth of the fan bases as it does to the fan bases of the globalized PL teams. Kroenke’s strategies for running his US sporting franchises and for running Arsenal must be very different nullifying any basis for comparison. Arsenal cannot out reach themselves and can only spend sustainably. Note that Chelsea is owing Abramovitch more than £1billion. Somewhere down the road something must give. Goonereris made a good point. Ford Motors would diligently be getting feed backs from those patronizing their products, but they would never let them take the decision on the fate of their CEO or on how they have to structure their firm. Never. I feel very sad and sorry for what happened in London.. Terorist is our enemy and we must fight it together..
Back to the topic about Ox..
TA.. You know me.. I am not his fans.. I don’t really like to comment about Ox.. For me, he still need to get ride his big ego for being a hero.. You don’t need to score, assist is also a great thing to do..
Henry it is indeed very sad that a few crazy people can cause such pain and distress to so many. 17ht I didn’t pay out to my Spurs friend a few Peronis and he had forgotten all about it. Total, that was a really good read, I hope that the club can persuade Alex to sign a new contract. Why has he been allowed to run his contract down to his final year, if he is in fact a part of the clubs future? That remains a mystery to me, but it doesn’t fill me with much confidence in those whose job it is to sort these things out? It kinda smacks of a lack of decisiveness and direction. Like Retsub, I am now a bona fida fan of your boy Xhaka, he has had a very impressive run of games up to and including the cup final. Retsub, I dont want to sound dramatic, but I was taking a young couple from Liverpool St Stn to Southwark Bridge Road last night and therefore had to cross London Bridge, unfortunately or fortunately I guess, I got there about 5 minutes after the attack, I saw about 15/20 people lying injured on the ground, it was mayhem, there was no Police or emergency services about only London transport staff trying to direct traffic. I guess that the killers must have been in Borough Market as I edged by the chaos, my main intention to get my passengers to safety. The Police arrived as I got across to the south side of the bridge. I saw the van where the killers had left it smashed into some railings close to a pub. Not sure what to add really mate, I’m just glad that the police killed those responsible. Sorry to be on a downer, but it was quite a shocking scene. That must have been horrible. Trouble is their are supposedly 100’s of them out there. Sad world we live in. I didn’t trust Uber or Grab at all to be honest. Gutted by the turn of events and this is something May and her team has to come good by fast tracking some of the security measures. As a former British colony Singapore stands with British people at it’s moment of need.